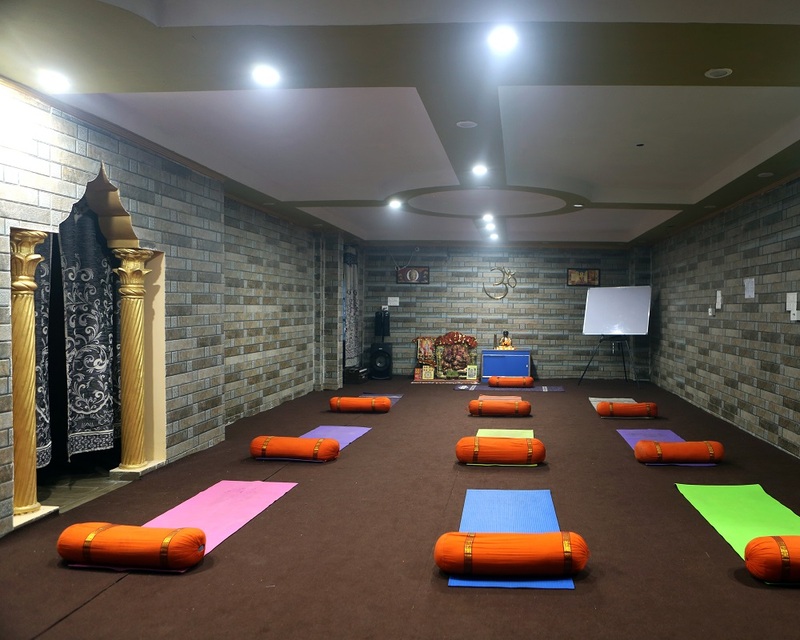 The 200 hour Yoga program is an intensive training program for Yoga enthusiasts who would want to go deeper in the realm as well as enlighten others of this holistic way of life. This program comprises both theoretical and practical aspects of Yoga. It gives Yoga practitioners with a professional leverage and elevate their stature to a trainer. 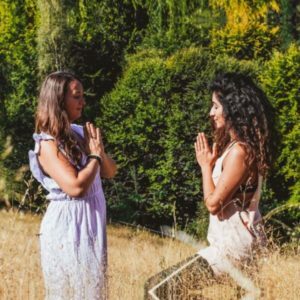 It is a robust teaching course, which facilitates your transition your role into a Yoga Teacher while offering deeper insights into the practice. Once you have completed the 200 hour course, you can confidently start as a teacher and be a part of much evolved and learned community at an international level. 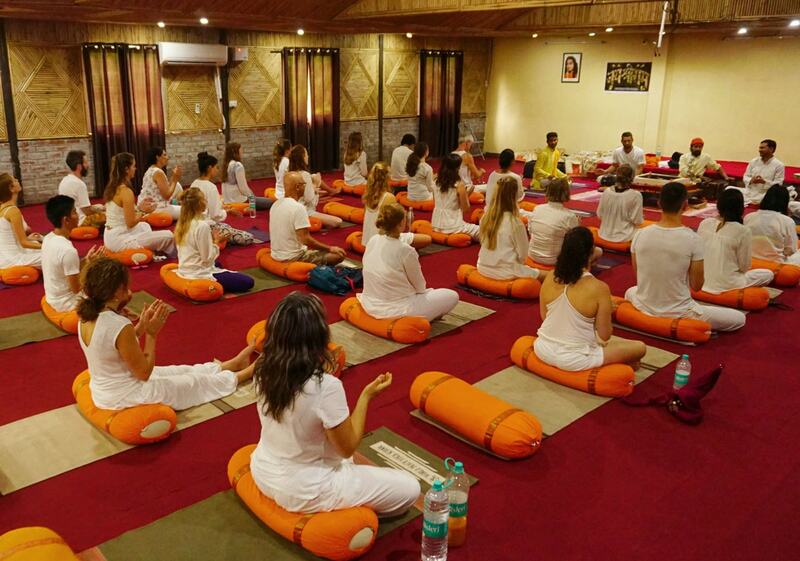 The teaching methodology at Rishikesh Yoga Club focuses on sequencing, adjusting, learning standards, teachings standards, and styles. We emphasize on the ‘need to lead by example’ for a Yoga trainer. A candidate is required to spend at least 5 contact hours of teaching as an instructor exclusive of assisting, observing and giving feedback. The training program pushes you to achieve your best and go to the extra mile so that you can give your best when you teach and enlighten the students. 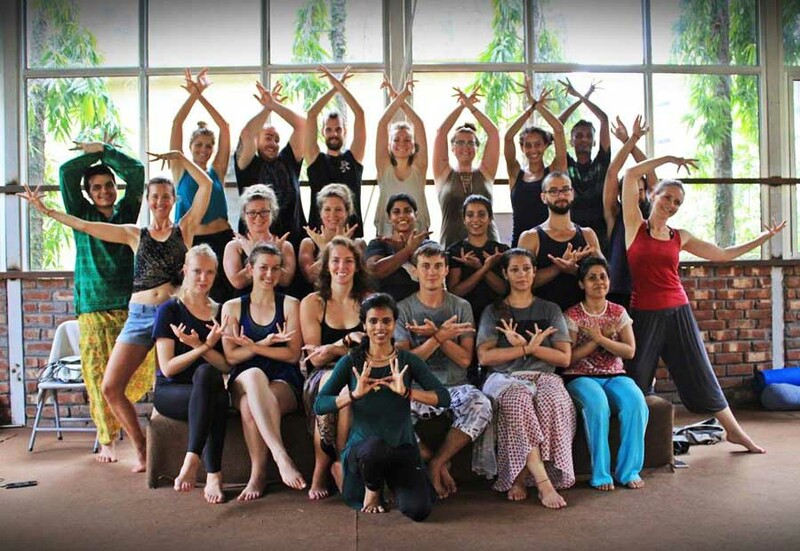 Our curriculum for 200 hours yoga training is developed by trained and experienced yoga gurus who have practical experience in managing different auras, different personalities, and energies in a group. 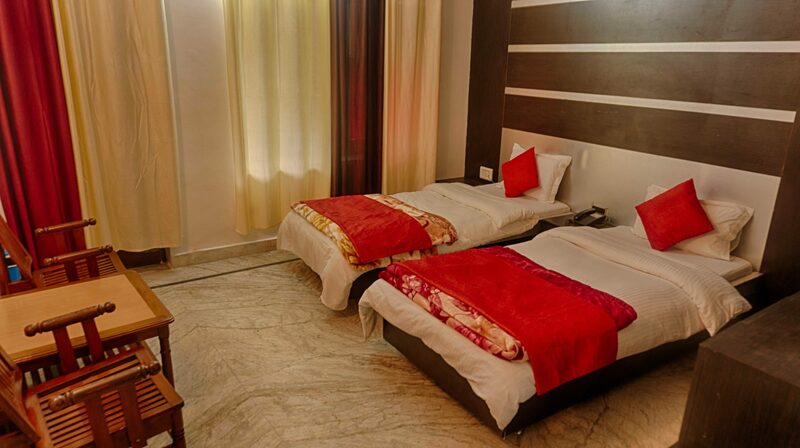 the course is designed to give you a professional edge- as a healer, an academician and an instructor. 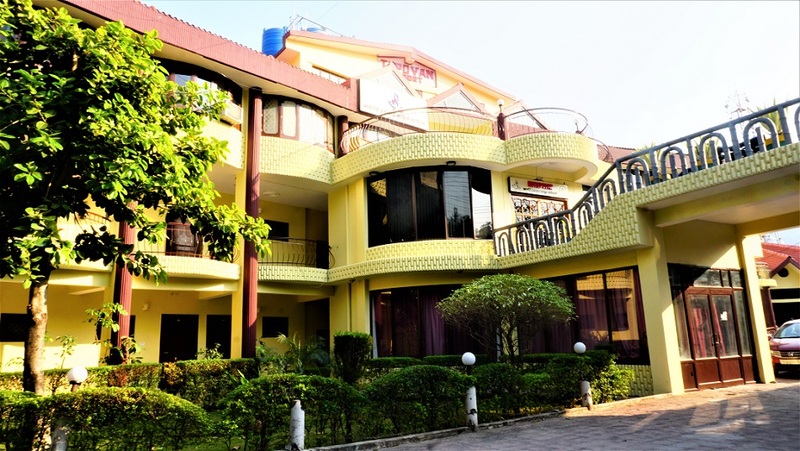 it also imparts knowledge of marketing and legal aspects of becoming a professional yoga trainer. it makes you job-ready and is the stepping stone for success in the world if you aspire to inculcate yoga in your lifestyle as well as earn from its knowledge. 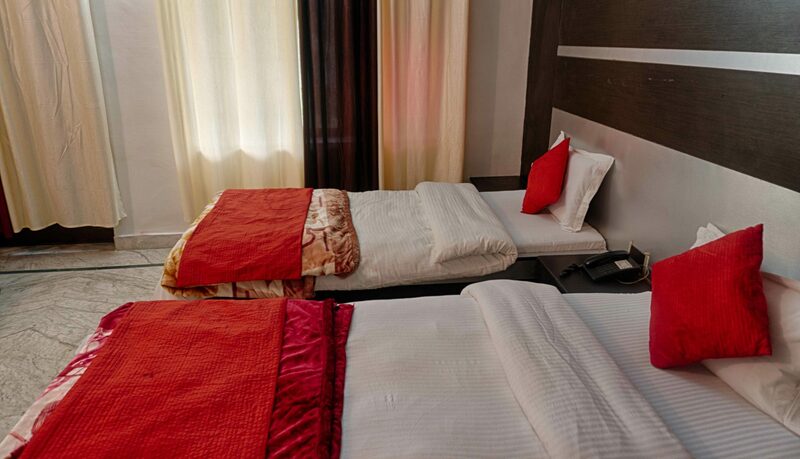 Shared Accommodation with attached bathroom and hot water. Farm to Table Vegetarian/Vegan Meals (Breakfast, Lunch & Dinner). 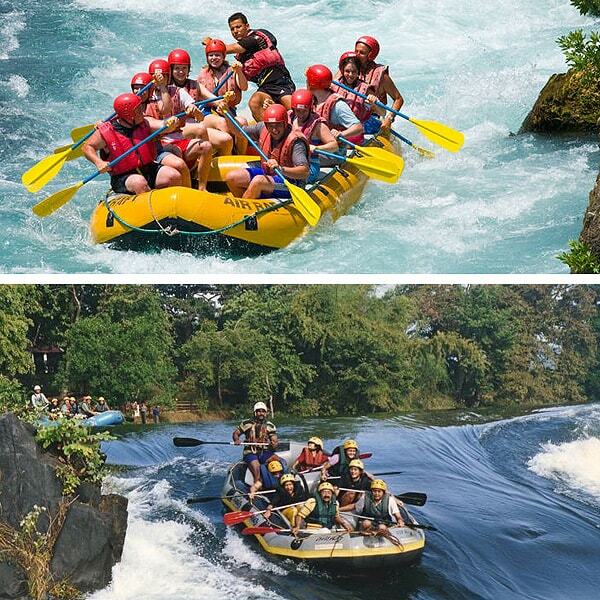 Weekend local sightseeing outdoor activities (with guide). Welcome Kit / Cleansing Kit. 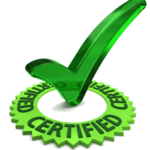 Certification from Yoga Alliance on completion. GO DEEP. PRACTICE YOGA. LEAD AS TRAINER. 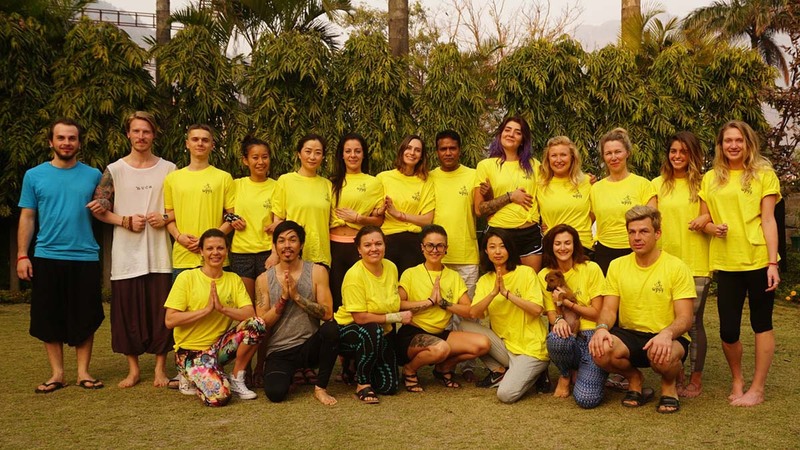 To Learn and spread yoga leadership techniques you need to grow yourself, your students and your world & keep yourself ready to unlock the calling within you and your yoga studio session! Are searching for divine spirituality, peace and happiness in your life. 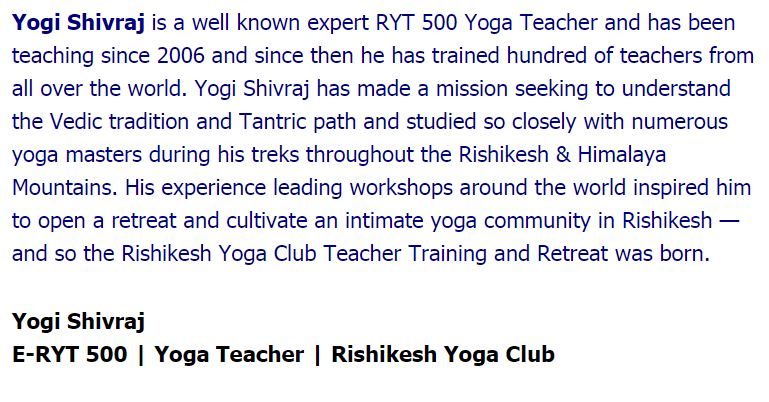 Being Featured as Top Yoga School in India in World Yoga Teachers Org, An online Magazine was huge for us. 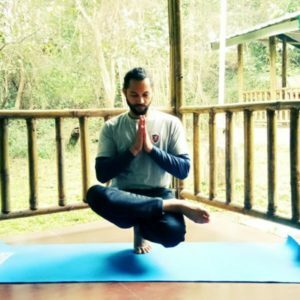 Spl in Hatha Yoga | Ashtanga Yoga | Meditation | Kundalini Yoga! 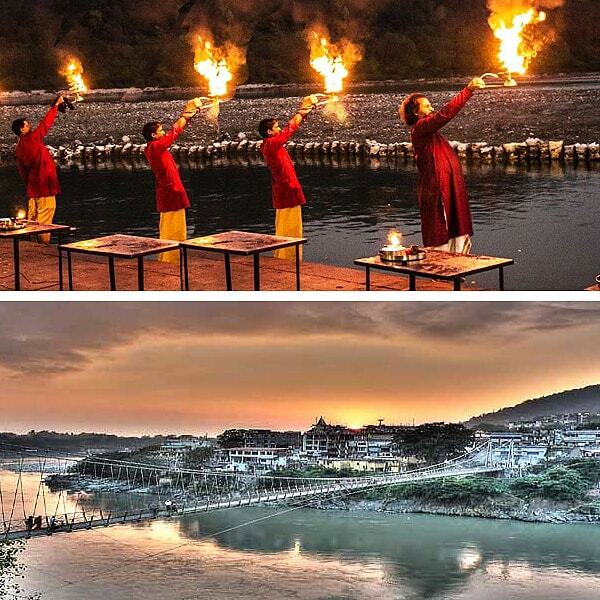 Have you Experience 200 Hour Yoga Teacher Training in Rishikesh with us? 200 Hour Yoga TTC Overall rating: 4.9 out of 5 based on 48 reviews. 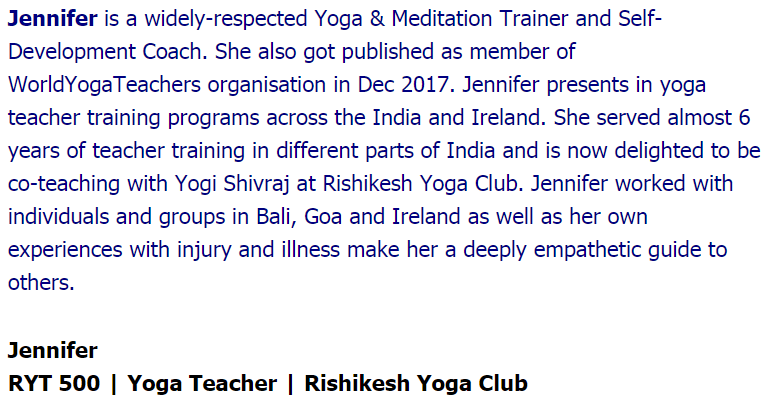 © 2018 Rishikesh Yoga Club. All Rights Reserved.